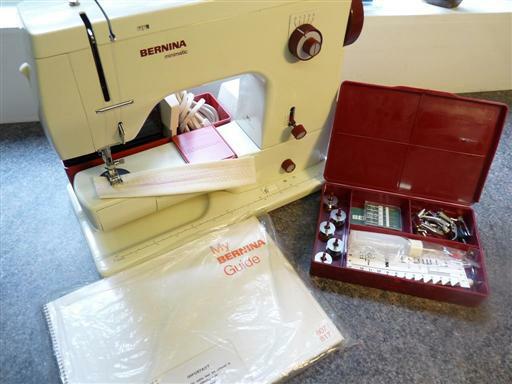 This is a Bernina 807 free arm sewing machine, made in Switzerland, the Rolls Royce of sewing machines. It has a cast iron body this machine has had a full service by me Bernina trained mechanic a sewing sample can be seen on this machine, includes carry case foot pedal, book, spools, and feet etc. This machine is as brand new may have never been used and all complete as from the factory in Switzerland, maybe the best 807 I have seen in my 43 years in the sewing industry.